These fun cast-metal keyrings feature stylish faith-building designs that offer a constant reminder of God's love, through word and image. Choose from a range of designs, all with matching silicon straps. 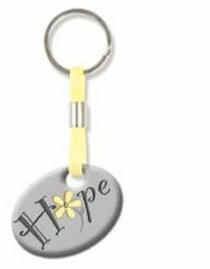 About "Pebble Keyring: Hope Flower"